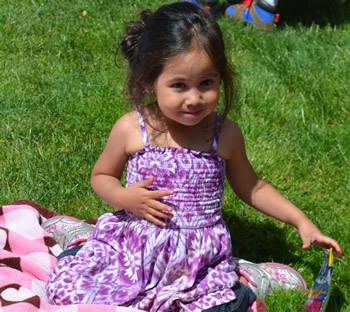 The Research Institute Child Development Center (TRI-CDC) has provided quality care and education to young children and their families from Western Oregon University (WOU) and the surrounding community for over 35 years. Located in historic Todd Hall on the beautiful WOU campus, our operating hours are from 7:45 a.m. to 5:15 p.m. Monday through Friday. Our preschool program provides child care for children aged 3 to 5 years and Afterschool Enrichment care for children Kindergarten - 10 years old. These comprehensive programs are designed to serve all children and families regardless of race, color, disability or health status. What makes learning at TRI-CDC special? Our curriculum integrates creative play and project-based programing because play is child’s work. Children learn content through investigation and focused intentional teaching. Each day, teachers prepare an interesting and supportive environment with a variety of activity choices which advance children in their development. Studies have shown that learning through creative play does more than stimulate physical, social-emotional, intellectual and creative development. Play is also the primary means by which children explore the world, investigate its properties, and build an understanding about how the world works. Project-based learning is incorporated as a dynamic approach to teaching in which students explore their questions about real-world problems and challenges. With this type of active and engaged learning, students are inspired to obtain a deeper knowledge of the subjects they are studying. Located on WOU’s campus, we have access to a wide range of resources and opportunities to enhance our curriculum: Science, technology, sports, outdoor adventures, Hamersly Library, music, arts and theater. Together with WOU’s professors we are able to answer your child’s questions as they arise and explore their interests in depth. With our child development professionals at their sides, children are assured of getting the care and support they need, the creative learning experiences they enjoy, and the intellectually challenging opportunities they deserve. Where else in our community can children have access to all this knowledge at ages 3 through 10 years of age? 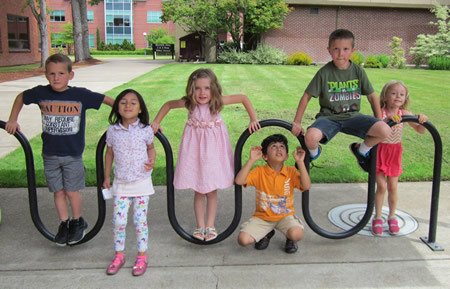 Afterschool Enrichment Program: Beginning the 2014-2015 school year, the TRI-CDC school-age enrichment program, in collaboration with Western Oregon University resources, will offer an after-school program with a fun and engaging curriculum. 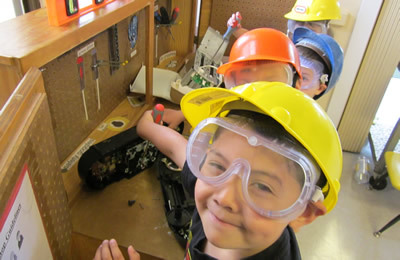 The afterschool program will focus on exploration, adventure and (did we mention) fun. Activities will be based on meaningful connections that will enable children to deepen their knowledge-base and abilities. This program is available to children Kindergarten - 10 years old.